Hand embroidered cotton appliance cover from the 1930s or 40s. Bright primary colored flowers decorate this cover on both sides. 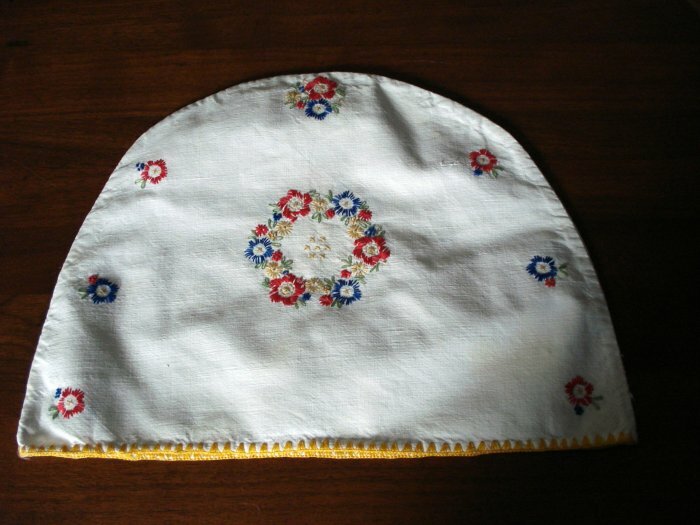 The opening is blanket-stitched in golden yellow. No damage. This is great for a vintage kitchen or for a modern kitchen using one of the primary colors as an accent. The opening is 31 inches around and the height is 11 inches.